Safe, heat-free and easy to use—no warm-up waiting time, no fumes, no mess. 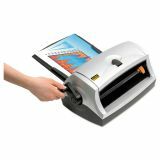 For documents up to 8 1/2" wide, 1/10" thick and up to 90-ft.long. 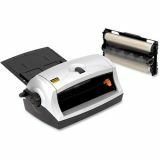 Features easy-loading cartridge and adjustable input tray. 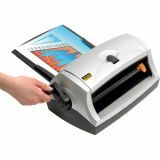 Scotch Heat Free Laminator, 8-1/2" Wide, 1/10" Maximium Document Thickness - Heat-free laminator offers a sleek design with easy-load cartridges. No electricity needed. No waiting for warm-up. No fumes. 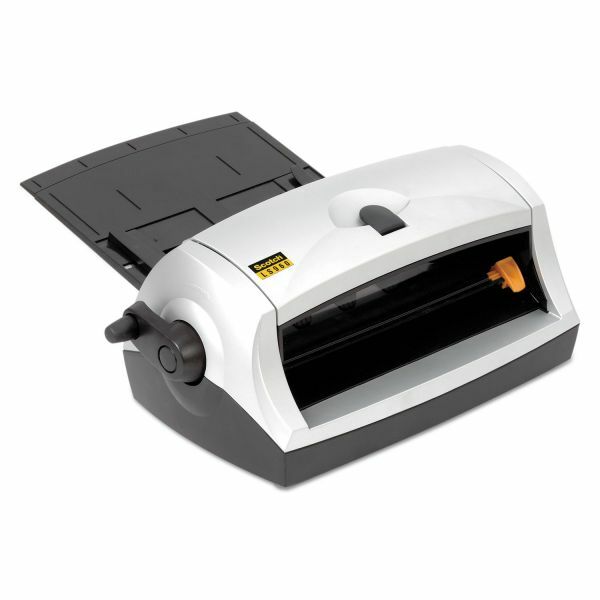 Adjustable input tray gives perfect alignment handling documents up to 8-1/2 wide, 1/10" thick, and 90' long. 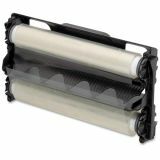 Great for presentations, phone lists, art projects, and other frequently used documents. 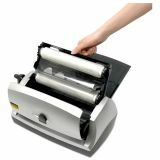 8-1/2" laminator comes with an easy loading, 18" long starter cartridge."